According to creditcards.com, small business credit card spending will balloon to $686 billion in 2018 from $493 billion in 2017. How can businesses better track and control their expenses? To help your business to continue operating smoothly, your employees need to be able to make purchases. Employee expenses and other types of business expenses can quickly balloon out of control, making it important that you track them and have tight spending controls in place. Employee expenses are things that your workers have to purchase so that they can do their jobs. Some examples of these types of expenses might include office supplies, shipping, food, gasoline, uniforms, safety equipment, tools, and others. Many businesses use reimbursement forms for their employees to use to report business-related spending so that they can be reimbursed. Relying on these forms may not be a good idea, however. Why is it important to have good tracking mechanisms for expenses? Many businesses struggle to manage their expenses. Without proper tracking, expenses can quickly balloon. It is important for you to institute good expense management practices in your company so that you know how much is being spent at any time. This can help you to keep your budget under control and allow you to focus on growing your profits and your business. Monitoring your employees’ expenses is also important to help you to prevent losses caused by internal thefts and fraud. Unfortunately, some workers steal from their employers and cause substantial losses. Spending controls and expense monitoring can help you to prevent fraud and alert you when it occurs before your business loses substantial amounts of money. How can an electronic or online solution help reduce accounting headaches? According to the ACFE’s report to the nations “Median losses are far greater when fraudsters collude”. That being said managing expense reimbursements for employees is a situation that is ripe for abuse and fraud. Employees may submit fraudulent reimbursement requests or report personal expenses as business expenses. They also take time away that your workers can better spend on other job-related tasks. Some companies opt to give their employees business credit cards to use so that they can avoid the problems that come with using reimbursement forms. However, business credit cards have their own problems. Employees may charge personal items on company credit cards. The cards are not subject to consumer protections since they are business cards, which means that the credit card companies are able to raise your interest rates at any time on your existing balances, and you may be charged substantial penalties and annual fees on top of the interest. Spending on business cards also can spiral out of control. An online expense tracking solution may help you to avoid accounting headaches. You might benefit by finding an online solution that allows integration with your business’s accounting software like QuickBooks, so that the expense data transfers directly into it. An electronic solution can also reduce the time that your employees might spend on manually entering their expense data and on compiling reimbursement forms. 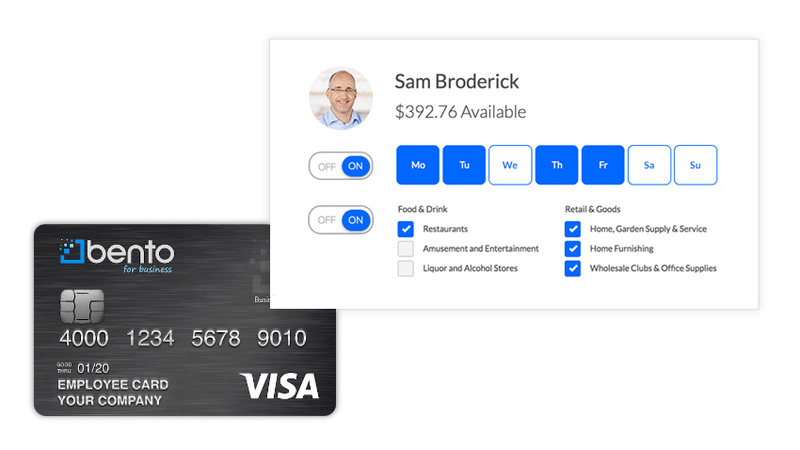 A better solution for helping you to track and monitor your company’s employee expenses is a business debit card from a company like Bento for Business. These cards do not charge high rates of interest or high annual fees, and qualifying for them does not depend on your credit. Since they are debit cards, your employees will not drive up your credit card debt by using them. You can limit the spending categories for each of your employees on their cards to the specific types of purchases that they need to make. If an employee tries to purchase something else, you will be able to see the attempt and handle it accordingly. Bento for Business helps business to prevent fraud and to control employee expenses. The application process is straightforward and takes as little as 60 seconds. To learn more about how getting business debit cards from Bento for Business may help you to keep your employee expenses in check, call us today at 866.220.8455 to answer any questions or start your free 60 day trial.